Best place, professional and friendly. 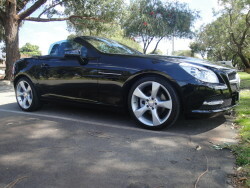 Been shopping around to sell my Mercedes Benz SLK. Mercedes car dealers could not offer me better than Lisa Freeley could. Thank you for your kind assistance. Reviews may be edited to accommodate display requirements or to remove inappropriate content at the discretion of the administrator. By submitting this Review I/We agree that Cockburn Central Motors, T/A Car Giant WA Buying Express, may display these comments in full or as edited to comply with the forum’s intent. Submissions may appear on other 3rd party sites or be indexed by search engines. Authors may request that their reviews be taken down by Email to the Administrator. Please make reference to the specific review. Confirmations will be sent to the email address provided. Please allow 48 business hours for a reply. 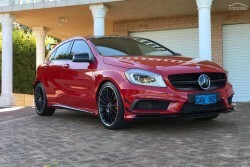 Looking to sell your car in Perth? Let the team at Car Giant WA Buying Express help you. We’re committed to providing our customers with competitive and fast car valuations.